As one of America’s oldest seaports, the National Historic Seaport in Baltimore has witnessed four centuries’ worth of historical highlights and cultural changes. Everywhere you look, there are traces of the city’s maritime roots and rich traditions. 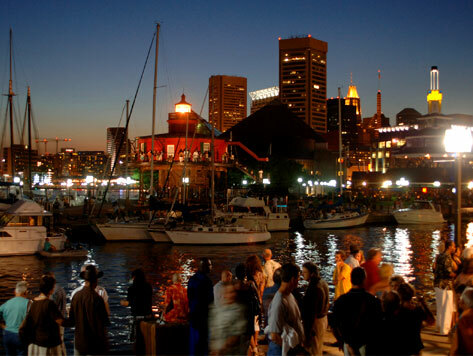 Located at the heart of Baltimore’s Inner Harbor, the National Historic Seaport is home to three of Baltimore’s biggest attractions: the National Aquarium, Historic Ships in Baltimore, and Maryland Science Center. The Seaport also features a variety of shops, restaurants, and entertainment venues such as Pier Six Pavilion, Harborplace & the Gallery, and Power Plant Live.